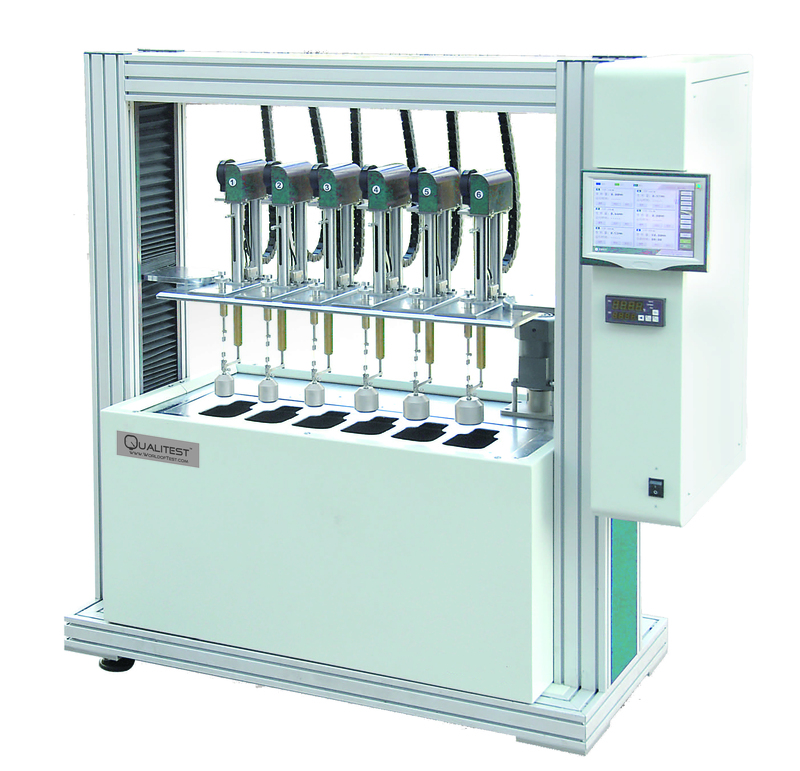 Elongational Stress Tester is designed to determine the elongational stress of ultra-high molecular weight Polyethylene (PE-UHMW) molding and extrusion material. The elongational stress is a characterization of the melt viscosity of PE-UHMW moulding powder, whose melt flow rate cannot be determined by the method specified in ISO1133 because of its extremely high molecular weight. Six individual controllers, one for each station. Automatic smoke exhaust system provides a good test environment. Temperature protective system runs independently of the controlling system, is designed to prevent the test temperature not exceed the limit point. Programmed test operation can realize the functions of automatic timing to release the brake rigging and automatic recording the test time. Tensile stress-time double logarithm curve can be plotted automatically, internal linear regression method can calculate the tensile stress F(150/10)automatically. Software is capable of plotting displace-time, temperature-time andtemperature-time curves, analyzing the tensile course, as well as saving and classifying test datum.